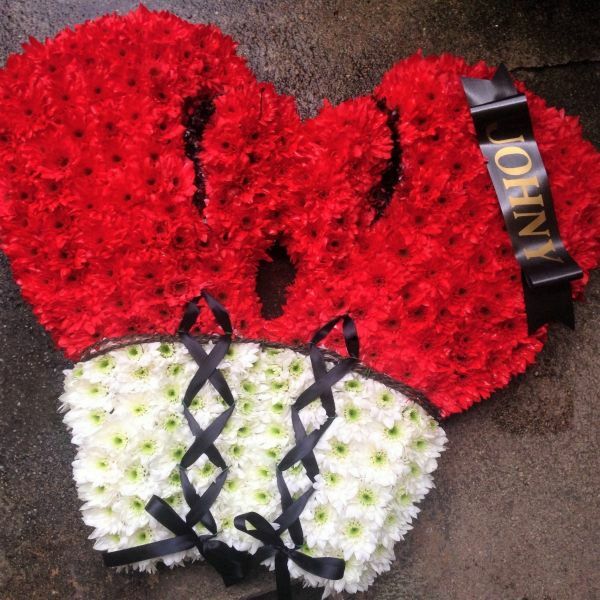 The perfect tribute for a your champ - red and white flowers re-create these traditional boxing gloves. Finished with black lace up ties and a compllimentary name sash of your choice. Please add the wording of your choice in the box below. (Please note maximum of 10 characters can fit on the sash).